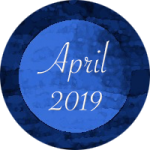 This Month's astrological details Book of the Month Scorpio Moon Astrology in 2019. Better late than never, here is our Book of the Month for April. There are more things than Heaven and Earth, Horatio, than are dreamt of in our philosophy. From Hamlet. Can you imagine what it must have been like to have one’s view of one’s position in the cosmos be completely altered after Copernicus bravely made it known that the Earth revolved around the Sun instead of the other way around? The consequences over time and through our own current timeline have had immense impact both personally and collectively…. what if you got the news back then…. mind-blowing! Unbelievable! What if you were a lowly peon working in the fields, you may have missed the news, but absorbed it nonetheless, to be dealt with down the road in another life and time. In any case, it was a big deal this news. We stopped being the center of the Universe. What does that do to our sense of having a meaningful place in the cosmos, asks Tarnas? 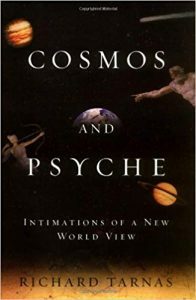 Richard Tarnas leads the reader elegantly through the history of how our world view and psyche has changed since Copernicus’ discovery and then takes us down the road of astrology, planetary cycles and phases. My two cents on this Full Libra Moon Day. We humans can be so adamant about what we think we know, then something comes along and wakes us to a Truth. Down the road that Truth may appear in another form or be corrected. What if we accepted this evolution of the human experience of Truth? What if we recognized our own evolutionary experience can alter our perception of Truth and similarly our neighbors, our fellow tribe members, our human family, who must follow their natural course of awakening, individually different yet collectively with common elements. Could we become a more peaceful and loving species if we learned this early on? I was writing this as the Moon is Full in Libra, the sign of true listening, peace and harmony. 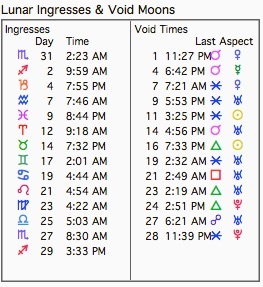 Now, the Moon just entered Scorpio. The birds are singing. I am happy. I wish happiness for you too. P.S. Check out my Scorpio Moon bird walk on Instagram. P.SS. I would love it, if you decided to buy this book, to use the amazon links for the book from my website. Sun 03° Taurus 18' 24"
Moon 27° Sagittarius 35' 37"
Mercury 08° Aries 40' 04"
Venus 03° Aries 44' 22"
Mars 15° Gemini 27' 45"
Saturn 20° Capricorn 29' 11"
Uranus 02° Taurus 34' 26"
Neptune 17° Pisces 49' 31"